Even though Coca-Cola is known world wide, I’ll always consider it a Southern brand. I’m a little biased since they figured out how to bottle the well guarded recipe in Vicksburg, MS and its headquarters is in Atlanta,GA. Also there is that little thing we Southerners do, referring to all carbonated beverages as “Coke”. Ice cold Coca-Cola was designed to be refreshing during the hot sticky days of summer. 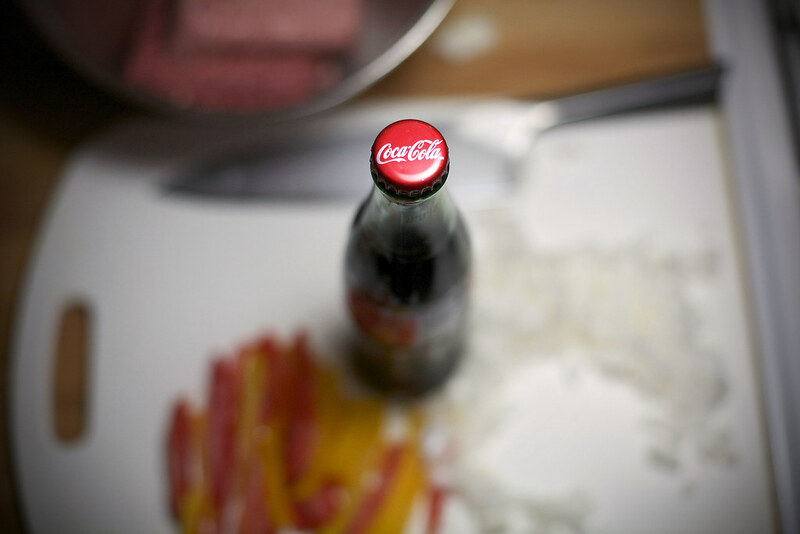 In honor of this Southern heat wave, we’re going to try cooking with Coca-Cola. The first thing you need to know is that Coca-Cola has a twin that lives in Mexico, it’s hard to spot, but usually comes in the glass bottles and labeled “Product of Mexico”. Honestly if you’ve never had the chance to try Mexican Coke it’s a treat, still the same Coca-Cola you know and love, but instead of Corn Syrup they use Sugar. It’s worth the effort to seek it out, and I often see it by the case full in Costco. With our Coke in hand, let’s get on with the cooking. There are lots of ways to cook with Coca-Cola, we’ve smoked brisket with it, used it as a brine for our pork, and as a decent replacement for molasses in some of our BBQ sauce recipes. My favorite part of a great meatloaf, is the crispy crust that forms on top. 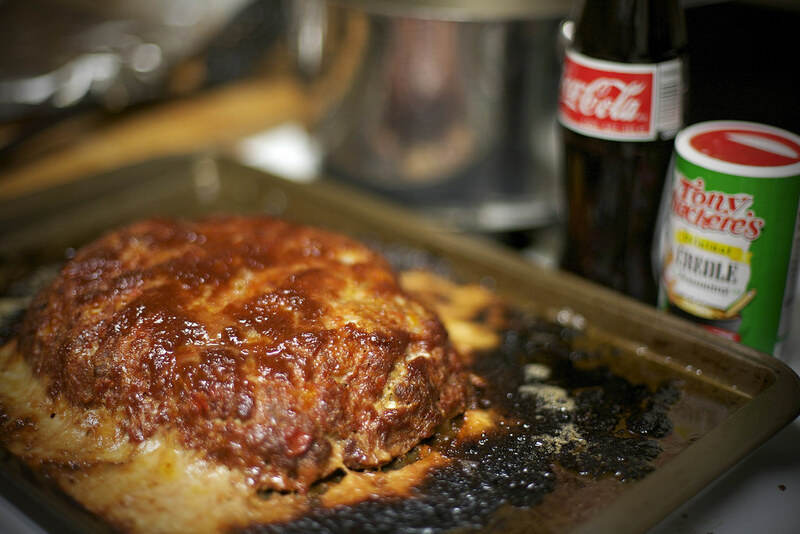 So to my usual recipe, I’m going to add a large helping of Coca-Cola, to build a tangy sweet crust, that will make our Southern Meatloaf that much better. We’re going to make a sweet Coca-Cola reduction, instead of gravy or straight Ketchup, and glaze our meatloaf to sweet southern perfection. Check out our recipe. It may not look pretty, but it sure does taste good. Preheat oven to 350 degrees. In a food processor add enough fresh whole wheat bread to make 2 cups of crumbs. Then in a hot pan saute,in butter, the yellow bell pepper and onion till translucent. In a large bowl combine all ingredients and with your hands work it together. 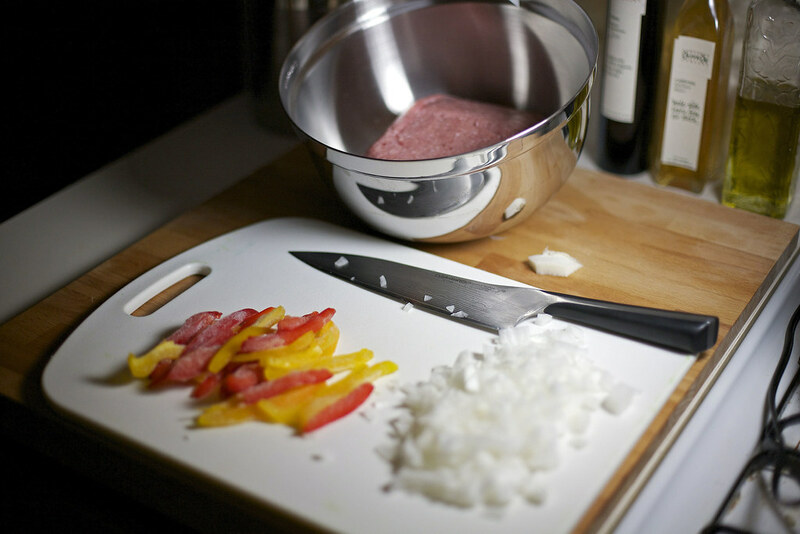 Only work the meat and ingredients until it is well blended, but be gentle and don’t turn the meat into paste. Move the meat to a lightly greased cookie sheet and hand mold the meat into a loaf. Cover the meat in a heavy coat of the Coca-Cola Glaze and cook in the oven until the middle of the meat reads 160 degrees on a thermometer. When the meat reaches the correct temperature, remove from oven and cover with foil (it will carry over to 170 as it rests). If you want more of a crust, add more glaze and place under the broiler till crust is formed, being careful not to burn. Slice, Serve, Enjoy! On medium-high, use a sauce pan and reduce the Coca-cola, after 10 – 15 min of reducing add the ketchup, mustard and garlic. Lower the temp to a simmer and allow to continue for an additional 15 min. The flavors will become rich and sweet, and the texture will be almost syrup like. Remove warm and cover meat loaf. Love it! It’s finally cooled off in NYC today, so I will turn on the oven and give this recipe a try. My mama grew up in Yazoo City, MS and still has tiny cloth aprons that were made to slip over bottles of ice cold Coke. That is awesome. Grew up around Yazoo City,MS ! 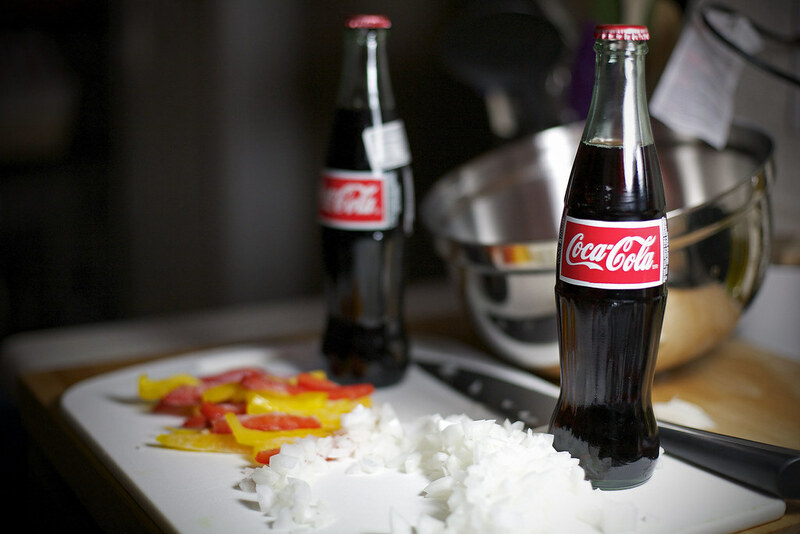 Did you use the Mexican coke for this recipe, or the regular? I used mexican coke! Thanks for asking! WHAT A GREAT RECIPE. I had to share it with my readers… I sent them your way for the recipe. Thanks for sharing it! I hope you enjoy it as much as we did! We are doing a grilled Coca-Cola chicken this weekend. The meatloaf sounds good too. I’ll have to try it! This sounds so good it makes me want to cry. I am going to try this….for sure….sounds so good to me….even tho my digestive track is sometimes sensitive to cajun seasoning…I’m trying it out on some of my friends (mature women). Just discovered y’all last week – stuck in the wilds of NJ the last 20 years – grew up in Jackson, MS. Made the meatloaf Friday night for my comfort food cravin’ wife, who was stuck at home with a cold. It was really good…seved it over yukon gold mashed potatoes….wow. Really glad you found us Rusty. Huge fans of Jackson, especially since one of us went to school there and was born there. Hope your wife gets to feeling better. You found us a good time, we’ve got lots of cools stuff coming on top of all the regular things we do. Loved this recipe. It is my new meatloaf recipe. Yum! Glad you like it. It’s our fav too!